Why do I have chronic shoulder pain? 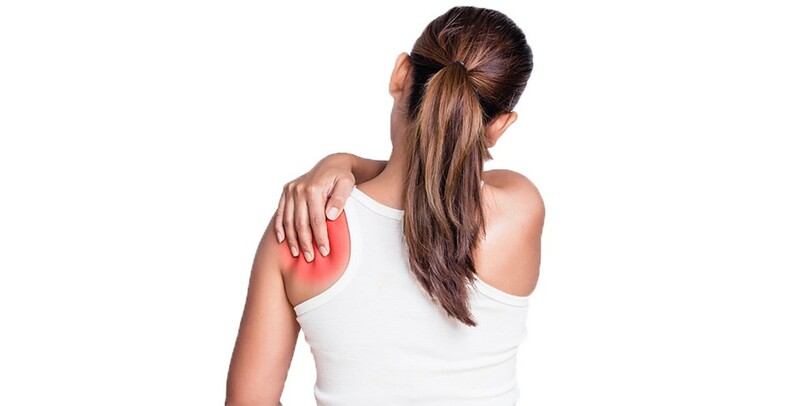 If you’ve ever suffered from chronic shoulder pain, you know how difficult life is when you’re working with this condition. But you are absolutely not alone. Shoulder pain is a common problem. There are a variety of potential causes for this discomfort. Why? Because the shoulder is complex. The first step in getting rid of your shoulder pain is always understanding the cause of the pain. If you think you’re suffering from any of these conditions, it’s good to schedule a checkup with your primary care physician. This condition (also called ‘adhesive capsuliitis’) is when the shoulder becomes immobilized. The exact cause is unkown. Most commonly it affects people between the ages of 40 – 60, particularly women. A torn rotator cuff occurs when the tendons of the rotator cuff separate from the bone. Sometimes they separate completely (which can require surgical repair). Other times the tear is minor in nature and can be treated with physiotherapy. Tendonitis in the shoulder is an inflammation of the rotator cuff and/or bicep tendons. Typically this is the result of a tendon being pinched by surrounding structures. Though not as common as arthritis in the hip or knee, shoulder arthritis can be equally as painful. It involves the breakdown of joints at the skeletal level. Though a complete recovery is typically impossible, staying the progression of arthritis can be achievable. Instability is caused by loose joints. It can be brought on by a traumatic injury, such as dislocation, or may be a developed condition. Shoulder dislocation typically occurs during a traumatic injury which results in the arm bone becoming disconnected from the scapula. How can chiropractic adjustments help fix my chronic shoulder pain? Contrary to common understanding, chiropractic adjustments don’t actually “fix” you. However, most people feel immediate and dramatic relief from their painful symptoms when they get adjusted by a chiropractor. Rather, chiropractic adjustments repair the mis-alignments in your spine and bone structure (known as subluxations), which impede the nervous system and prevent the proper flow of nerve transmission. Subluxations are diagnosed through the use of simple x-rays. Most people, all around the world, have subluxations in their spine. If your bone alignment is correct and the flow of information from your nervous system is unimpeded, your body (usually) knows exactly how to heal itself, with time and patience. Doctors offer some support, with occasional necessary surgeries or trauma relief in severe circumstances. But chiropractic treatments actually re-align your body to its optimal state, which dramatically improves its innate healing ability. Most people who suffer from all types of chronic conditions causing pain and discomfort report dramatic improvements by receiving chiropractic care. Unless yours is a case needing surgery or trauma relief before you do anything else, schedule a consultation with your local chiropractor today. You’ve got nothing to lose – and everything to gain!